Hey lovely people! I hope all of you have had a good first quarter of 2015! I was swamped by work this month and lots of commitments, including birthday parties for the two girls and my own birthday! Priti has an incredible and perfectly organised wardrobe! The reason I am starting off by saying this reflects a lot about her. 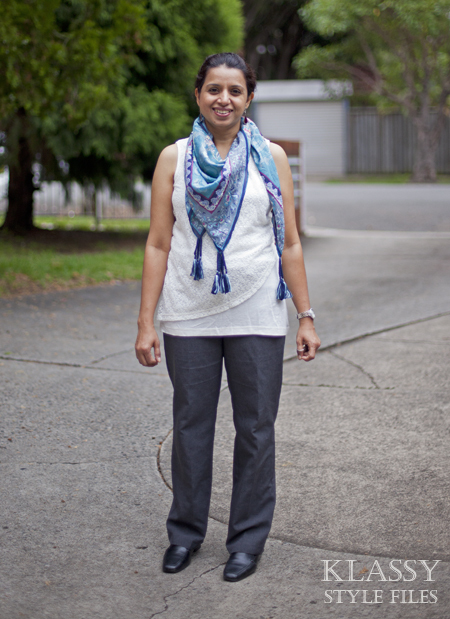 Priti is a school teacher and a very organised and meticulous person. It was actually a breeze to go through her wardrobe and put together some looks for work, weekend and casual wear, as we had planned. I think she looks pretty pleased with the necklace there! 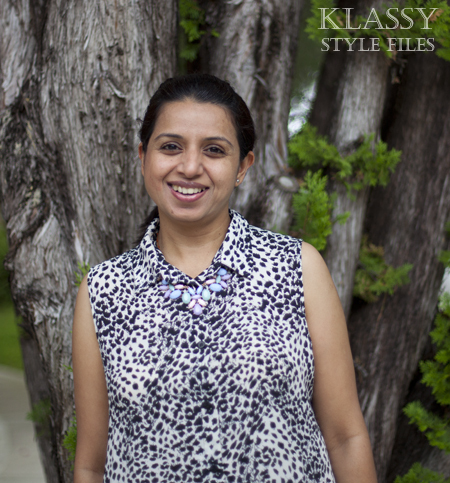 The monochrome print top was a perfect match with the pastel pants and tied together with the pastels in this stylist’s own necklace. An easy smart casual look for a Friday at school or perhaps a pupil free day. It can easily be teamed with a grey cardigan for cooler days. Again, using one of Prit’s never been worn luxurious printed silk scarf with tassels, here’s a look we created with a neutral base. The lace panel on the top adds a subtle yet classy touch and we used some cute dangling earring to tie up with the purple tones in her scarf. This outfit is a good option for the cooler months and throwing on a grey blazer can make it even more formal for teacher’s presentation days! 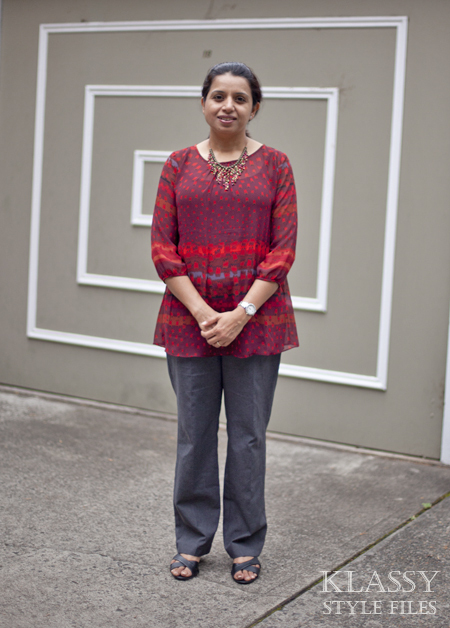 This vibrant top caught my eye instantly when I had first been through Priti’s wardrobe much before the style session. We added a stylist’s own tribal inspired beaded necklace to the look for greater impact. 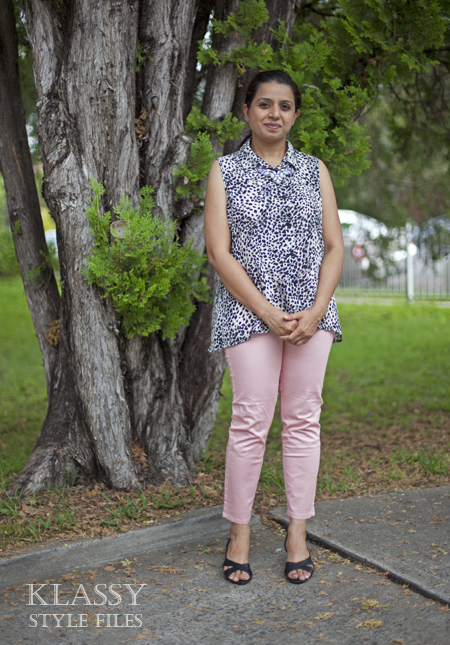 Priti was pleasantly surprised with the result, she had never imagined a necklace could go well with a bright patterned blouse! I think these colours look absolutely wonderful on her skin tone. ‘Pop of colour’, that’s what this next look is all about. 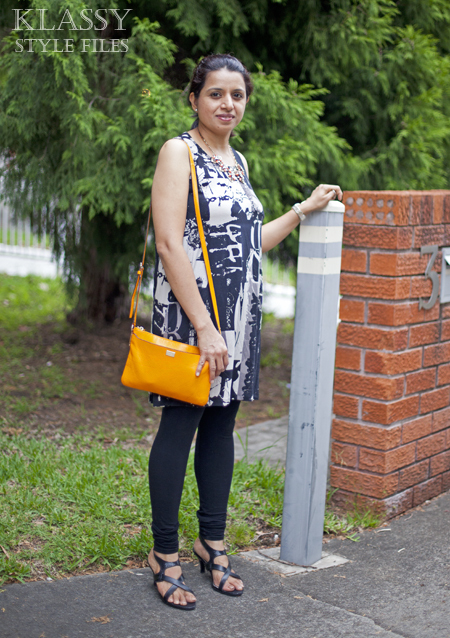 This busy printed tunic is attention grabbing in itself however a pop of orange in the necklace and the cross body bag makes the look complete and very refreshing indeed. Some high heeled sandals instantly lift the look for an evening out. And there’s more fun to be had with the scarves! 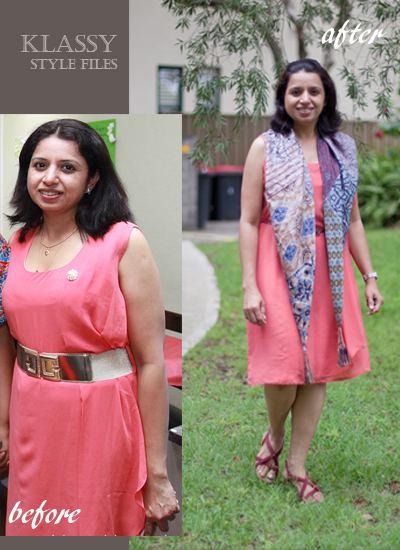 We transformed this lovely coral dress that you can see in the before picture above. We took away the gold wide belt and instead decided to add a thin maroon one with sandals to match. 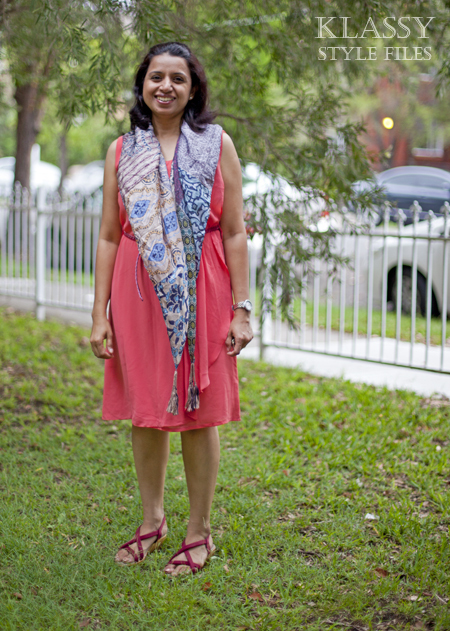 The scarf completes the look beautifully, giving a completely new dimension to her favourite coral dress. 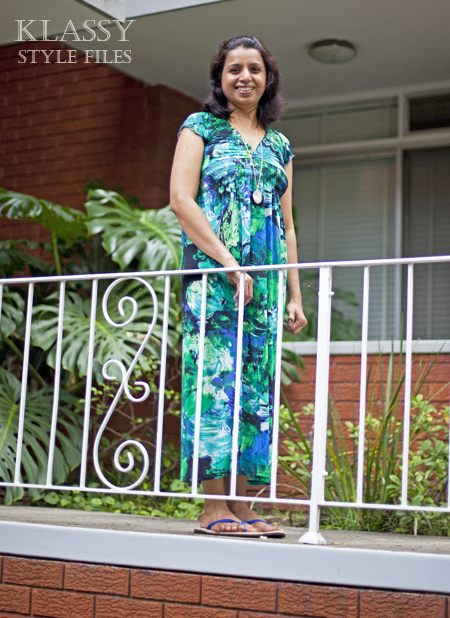 Lastly we had Priti dreaming of a getaway to Fiji or Hawaii with this cute tropical print maxi dress. Blue flip flops and a stylist’s own mineral necklace are the perfect accompaniment to this relaxed dress. Simply chic isn’t it? Priti and I thoroughly enjoyed this session. There were lots of laughs and lots of scattered clothes at the end of the session! It was really great to see Priti wearing one of her scarves when I met her after the session and she has already ordered me to find some necklaces for her:) All in all a wonderful satisfying feeling for both of us I think. 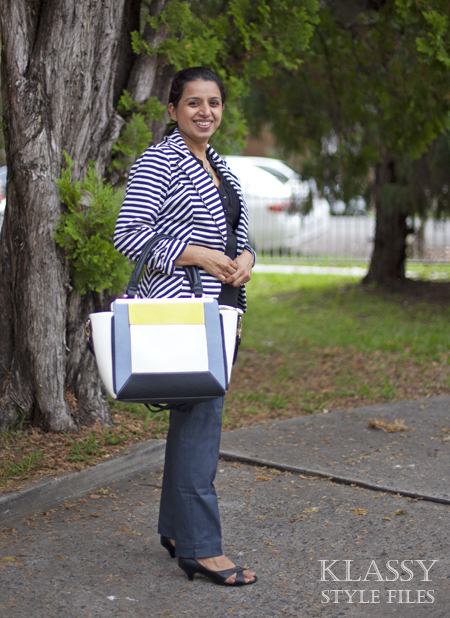 I’d love to hear your style queries and help you get the best out of your wardrobe too. Feel free to write to me to find out more about my styling services or just ask a question and I might do a post on it! Great post. Well done all involved! Wow!!!!!!!!!! You are looking sensational in these outfits. Your fashion and style sense is just amazing. Thank you very much for sharing this post with us….. Like your pictures very much. You are looking just stunning in these pictures and like your all look. Hope that you will keep sharing more and more with us. Kalyani ..u r the best. So elegant, beautiful and spot on! I would be really wary of experimenting with accessories in that profession but it is so subtle and on point in your styling…its amazing!